Back on June 4th 2010, Warner Brothers announced LOTRO F2P. To coincide with this, Turbine was working on a new area, revamping some old ones and adding in a micro-transaction store so players could purchase various in-game items. Lets take a look at some of the biggest changes, how it has affected Turbine’s bottom line and what the future has in store for LOTRO F2P. 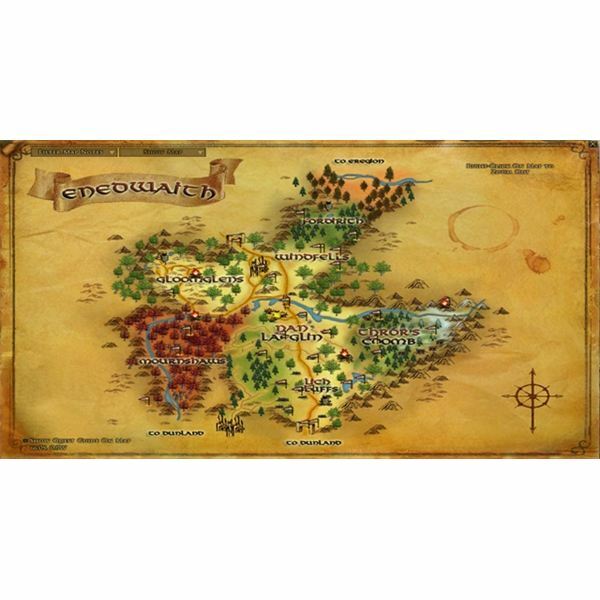 With the launch of LOTRO F2P, the new area of Enedwaith was added. This area is geared for level 65 players. The area boasts over 65 new quests as well as two new factions, the Grey Company and the Algraig. This is a diverse area with some very beautiful scenery, The epic quest line will also take you here as you follow the Grey Company on their journey to aid Aragorn. To make the game profitable, Turbine had to place some restrictions on F2P players. These restrictions allow the player to get a feel for the game but if they wanted to continue on, the either had to spend Turbine Points on quest packs or become a subscriber. Luckily, they made it easy to earn free Turbine Points in game. You can earn them through completing deeds in the areas you have the quest pack for and through gaining reputation with the various factions in-game. F2P also saw the placement of a gold cap as well as limiting the number of trait slots non-subscribers have for free. 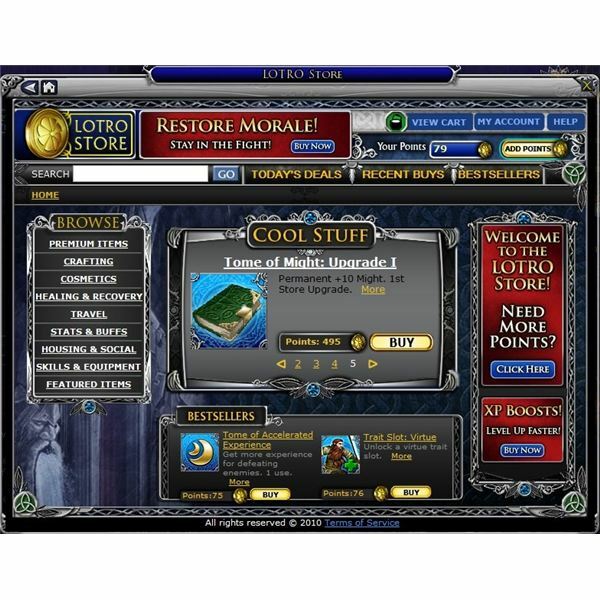 There is a way to unlock quest packs, trait slots and the other restrictions; its called the LOTRO Store. This store offers everything from cosmetics to quest packs to potions to mounts and everything in-between. Switching to F2P was a move that proved to be financially sound. Kate Paiz, the Executive Producer for LOTRO, announced some very good news during a panel at the recent GDC Online 2010. She stated that since going to F2P, LOTRO has doubled its revenue. She also mentioned that over 1 million new accounts have been created, 20% of former players have returned and over 400% increase in active players. This is solid news that shows that their F2P model is quite successful. The first month of LOTRO F2P was filled with both good and bad news. The good news was the continued growth of the game financially and the new players joining the community. The new servers they added attracted new and veteran players alike and offered everyone a chance to experience the "new server feel". New excitement was found everywhere. The bad news was that some technical problems reared their ugly heads. There was the usual problem with general bugs but also some severe performance issues. Players would experience massive lag spikes, crashes and problems with the log-in queue. Also the Dynamic Layer system was causing some issues. In my opinion, LOTRO F2P was a very wise choice. It took a great game and gave it a new life. I have personally seen the excitement of new players when they see characters from the books or when they climb to the top of Weathertop and take in the breath taking view. The new content is wonderful and provides the challenge I expect from the game. Many great changes are coming down the pipeline and are currently scheduled to be up on the test server in a few days. These changes will hopefully improve the new vault, will be adding a new way for free players to level, help restore some valuable bag space and contains the usual class updates and bug fixes.